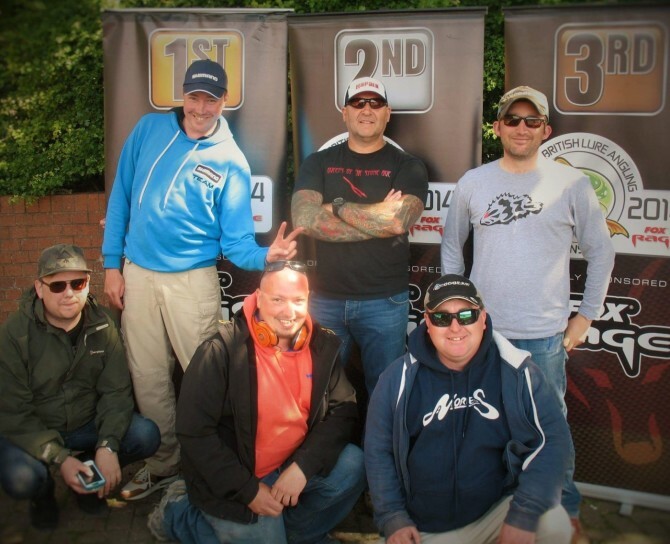 Ended my full-on fishing weekend at the British Lure Angling Championships qualifier at Bristol Docks. Such a cool looking water. Just a shame only a small part of it is (officially) open to fish. Be a good place to pleasure fish I reckon. Two Perch over 40cm came out during competition. Clearly a healthy water. I was paired with Tony Chesworth, of Plymouth. A die-hard (literally) saltwater angler that as it turned out, has fallen head over heels for Perch - as I have. It was going to be a good day! Luckily for me Tony had been up to practice and knew his way around this spread-out venue. We ended up at a small dock / marina where we were allowed just one side to fish. It had a large, red boat slap bang in the middle of the section, offering some shade and structure. It felt right. It took all of 60 seconds for my micro shad to draw in some interest, although I dropped the tiny Perch as I swung it up the high dock wall. Tony clearly had a game plan, striding out ahead of the pack to his preferred location. He'd clearly done his homework, as soon after he was calling for the net. I was struggling a little bit. Tired from my angling marathon and not enough sleep, my brain was slowly trying to work out the best way to trick the local 'wasp' population - with deep water, a fair way below us from where we stood. Jighead to Dropshot. Dropshot to Jighead. And so it went on. To the point I burnt through an entire leader length and had to re-tie. By this point Tony was way out ahead of us all, having landed some nice fish. I didn't start enjoying myself until I'd caught a string of hard fought minis. I was happy to stay around the boat though. Uncannily it reminded me of the large boats that sit in one section at Hellevoetsluis - the venue for the Worlds next week. Good practice, although there are unlikely to be any micro Perch in residence. I think there was anywhere between 6 and 10 anglers fishing the short stretch through the day. Matt Boast was slogging it out, as I was. Steve Collett was uncharacteristically off form with an illness that progressively worsened through the day, until he sensibly dropped out to go and get better. Sensible given WPC and CLF are back to back in the coming weeks. Get well soon mate. We were all watching Tony and wondering how we were going to catch him, now every inch of the swim had been hammered. I had my usual dire spell through the middle of the competition. But match experience really helps, knowing that things could come alive in the last 30 minutes. And so they did. Although I did have to think laterally to attract and most importantly hook the small shoal of Perch that appeared up in water column, on the wall. I'll just say my 'Blenny bashing' skills came in handy. Really enjoyed that last little flurry and I'm pleased to say it put me right back in the running. Totting-up on the way back, would you believe it, after 6 hours of non-stop angling, there was 1cm between Tony and myself! It was the right result. Tony had done me. I was genuinely stoked as he'd put so much effort in - before and during the match. 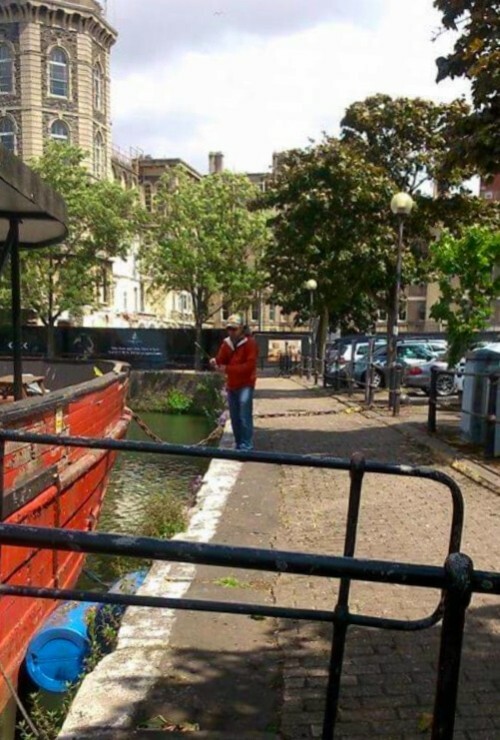 As we walked back, we wondered if our strategy to stay at that little dock would pay off. You never really know how others have got on. Heart rates quicken as you hand in your catch report and try to gauge the response. "We might have done alright." A few anglers were yet to return though. They'd clearly gambled and hiked East to the feeder canal. It was a 30 minute walk and there was the potential to take a wrong turn. I think everyone wanted the missing anglers to make the 'weigh-in'. There was talk of stretching the time a little. But when an unseen clock tower in the vicinity, chimed, it was a done deal. The anglers didn't return until after we'd finished the presentation. It was obviously a high risk strategy. They had match winning catches! A lesson to us all and a reminder that although this is a super friendly competition, Jules is forced to police the rules in respect to fairness. For those that did qualify, the top 3 were amazingly within just 5cm of each other! Matt Boast had battled it out for the win. Good stamina, my man! Tony had got the job done, finishing second and qualifying for the Grand Final at Chew. Fantastic news. Well done fella! And my late flurry had earned me third. It was great to see two more LRFers join the Chew qualifiers - Simon Knill and Andy Mytton. 4th and 6th respectively. Boom. Great day in great company. Once again, well done Tony and Matt! I now know every inch of that bloody red boat!